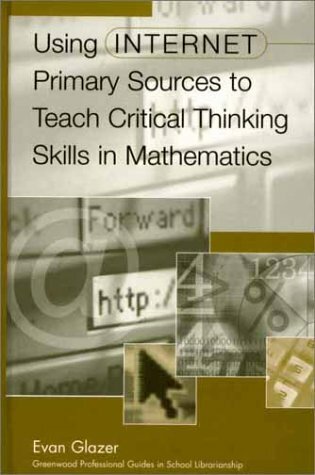 Mathematics teachers and school library media specialists will find this book a valuable resource for using the Web to promote critical thinking in the high school mathematics classroom. It is filled with instructional strategies and an expansive set of activities that cover a broad array of mathematics topics spanning from prealgebra through calculus. Teachers using the questions and activities in this book will help their students meet the standards set forth by the National Council for Teachers of Mathematics. Various types of mathematics related sources on the Internet are outlined within this book, including data and simulations related to real world situations such as saving funds and computing interest earned for college, purchasing a home, or decoding train and plane schedules. 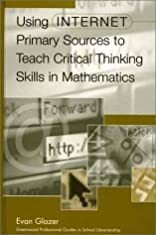 The author develops a framework for critical thinking in mathematics and helps teachers create a supportive classroom environment. Each activity highlights a web source, the mathematics topics involved, the appropriate grade levels of study, possible student investigations, and related web sources for continued exploration, promoting a student-centered inquiry.